First Solar have won a module supply contract for Edify Energy‘s Daydream solar farm and Hayman solar farm in Queensland. RCR Tomlinson Ltd (ASX: RCR) was awarded the $315m contract for the farms and have decided to give the supply contract to First Solar, who now have over 500MW in the pipeline over the next 12 months. For their part, RCR have over half a Gigawatt of large-scale solar projects in their order book and over a Gigawatt currently being developed or progressed under early contractor involvement processes, according RCR Managing Director & CEO, Dr Paul Dalgleish talking to RenewEconomy. The Daydream solar farm will be 180.7MW and the Hayman Solar Farm will be 60.2MW – the two projects are located just north of Collinsville in North Queensland – in the Whitsunday region. According to ELP.com, they will use single axis tracking technology which has been commissioned from Array Technologies, and over 2 million advanced thin film PV modules from First Solar, to produce around 531,000 MWh of renewable energy every year. Edify signed a power purchase agreement with Origin Energy for the Daydream solar farm’s output (they’ll also buy the renewable energy certificates), but the Hayman Solar Farm will operate as a merchant plant. 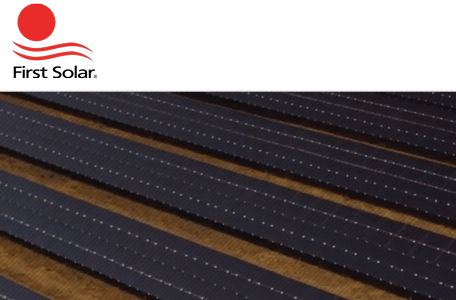 First Solar, Inc. are an American based PV manufacturer of rigid film modules, or solar panels, and also a provider of utility-scale PV power plants. In 2009 they were the first solar panel manufacturer to lower their creation cost to $1 (USD) per watt. According to Wikipedia they produced CdTe-panels (cadmium telluride) with an efficiency of ~14% at a cost of 0.59 USD / watt in 2013. They’re the second largest maker of PV modules worldwide. Edify Energy are an Australian renewable energy development and investment company who have led the financing and delivery of over 30 utility scale solar PV projects at a cost of over $1b. For the Daydream solar farm and Hayman solar farm, they won ARENA (Australian Renewable Energy Agency) funding last September under their large-scale solar funding round. More good news for Queensland solar farms – construction on the projects will commence almost immediately – scheduled for Q3 2017, with module delivery to arrive in Q4 2017 and Q1 2018.